Simi, Classic LifeCare Clinical Nursing Supervisor, found herself a four-legged soul mate from half a world away. 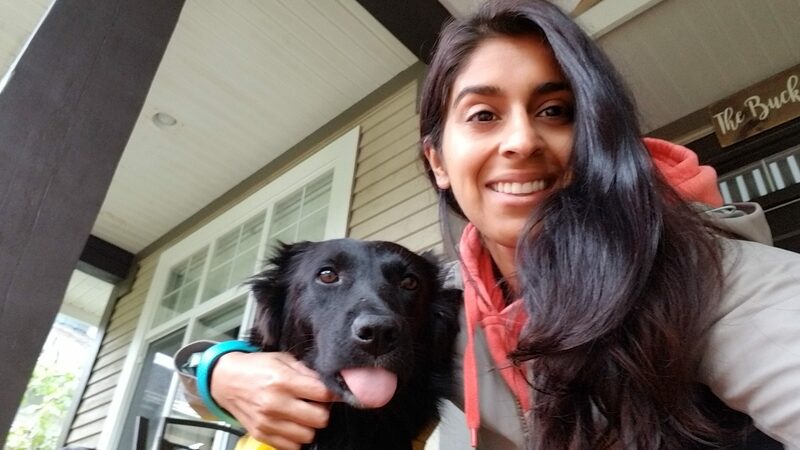 A dog from Iran, who had been at a shelter for a year and a half, made the 30-hour voyage to Vancouver on August 27 to meet her new family – Simi and her husband Andrew. Nelly was discovered more than 18 months after her ears and tail had been cut off and she was discarded in a gutter. Simi found her through a website called Pet Finder, which directed her to an organization called Loved at Last. Ask anyone at Classic LifeCare and they will attest to Simi’s caring nature and willingness to help someone in need. Simi, along with Clinical Leader Susan Fulton, volunteers in Vancouver’s downtown eastside providing nursing footcare to people in need. Simi’s last dog, Jack, was blind and had some other health issues at the end of his life, so she knows she can deal with Nelly if she has issues. Next PostARBI Pancakes for Stampede have Calgarians saying Yeehaw!